Each day, about 1,000 Americans require emergency care for a dog bite injury and about 4.5 million dog bites occur each year in the United States. If you or your child has been mauled in a vicious Tennessee dog attack, you will need the help of an experienced personal injury lawyer. Animal attacks can require surgeries, medication, and ongoing medical treatment; but, these dangerous situations are not only financially damaging – they also harm the victim and his or her family emotionally. Dog bites are very serious, especially when they involve young children. Statistically, children represent the most common age group seriously injured in animal attacks. Dog owners ultimately have a responsibility for their dog’s actions and any resulting injuries caused to the public. Dog bite injuries are the second most frequent cause of emergency room visits among children. The odds that a dog bite victim will be a child are 3.2 to one. Severe injuries from dog bites are highest in children age five to nine. Adults and children can both suffer devastating injuries as a consequence of vicious dog bites. Almost one out of every five dog bites becomes infected. 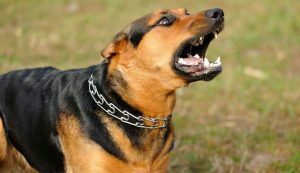 What Is The Law On Dog Bites In Tennessee? After a Tennessee woman was killed in a dog attack, the state established strict liability for dog-inflicted injuries via the Dianna Acklen Act of 2007, T.C.A. sec. 44-8-413. The law creates a two-part duty: a dog must be under reasonable control and not running at large. In reality though, plaintiffs suing for injuries or death caused by a dog bite must prove three elements: (1) the defendant owned the dog, (2) the defendant’s dog caused the injuries, and (3) the defendant knew or should have known the dog was dangerous. The residential exclusion is a significant shortcoming of the Tennessee statute. Tennessee is the only state with a “residential exclusion” in its dog liability statute. The residential exclusion leaves over 50% of otherwise-qualified dog bite victims in Tennessee without compensation. If you are not a lawyer, but are a dog bite victim, the complexity of this law requires a consultation with an attorney before talking to the other party. With more than 30 years of experience, our knowledgeable and skilled team of Nashville dog bite lawyers knows how to prosecute all claims to ensure you receive justice and the maximum compensation reasonably possible. If you, your child, or another loved one has been hurt in a dog bite case, contact us for help. We will provide a free, no-obligation consultation in which we thoroughly review your case and answer your questions. We only get paid if we recover compensation.